Symbolic play is a lot of fun, but it is a big leap from combinations. Symbolic play ranges from pretending something from real life to pretending that your dolls have life or pretending something that you imagine. When teaching symbolic play we look for toys that have multiple options for expanding, and lots of combination components so we have something to fall back on to sustain engagement. Here are some of our favorite symbolic toys! These toys are pretending toys that mimic real life actions and routines. This includes brushing hair, putting on a hat, giving a doll a drink or changing their diaper. These are one step actions that function independently rather than part of a story. Play dishes. 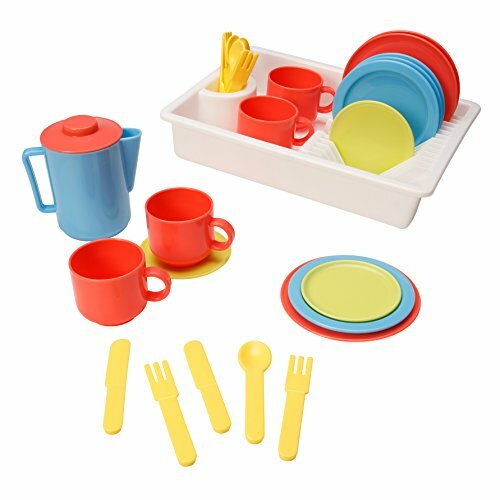 Although a real set of plastic dishes will also do, a good play set comes with a pitcher to pour drinks, and at least 4 cups, plates, and utensils. We want to make sure there is enough to pretend with ourselves, the child, and 1-2 dolls. This set has all of the above and a drying rack so you can extend the play to a dishwashing routine. If is hard to sustain pre-symoblic play with this set, you can also build a cool tower with the cups and dishes! Doll furniture. 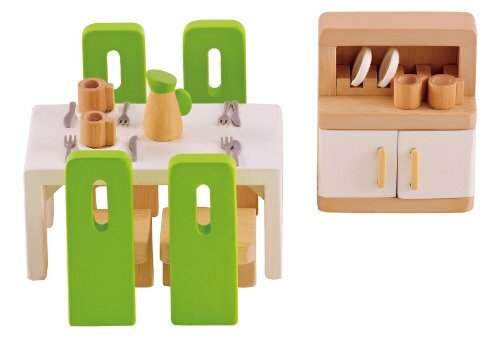 A good set of table and chairs with tiny cups and utensils is a great addition to any little people set. Extend familiar actions to the animals and people by offering a bite on a fork or a drink from a cup. We can also fall back to simple combinations putting the people in and out of the chairs. We love that this set comes with a pitcher too so we can refill the cups! Once your child has mastered simple single pre-symbolic actions then we want to move to sequencing these actions. Building a routine so your child can extend the same action to multiple participants in the play (people or dolls!). Substitution play is the next level of pretending. Weather children are pretending to use one item for something else, or pretending that something is there when it is not. This level of play really starts to draw on a child's imagination. Wood block set. A good set of wood blocks is useful for early players, combo players, and are also useful at this stage. 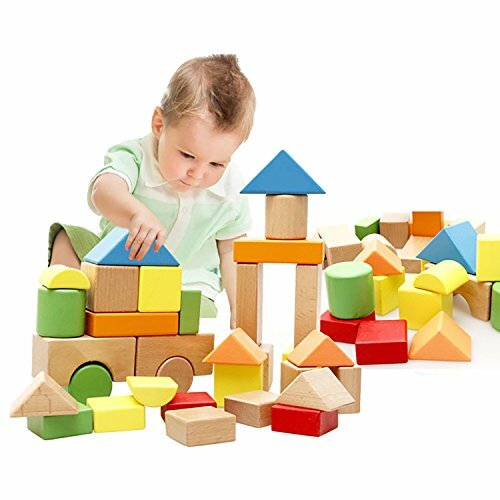 We can use wooden blocks as hammers, cups, cars, slices of pizza, beds, or anything you can imagine! If you are looking at getting a set for a substitution player, look for something smaller with lots of variety of shapes. Playdoh. Playdoh can often be a simple cause and effect toy where the child mostly explores the texture. But when they are ready to start substituting, then it is a great toy for expanding complexity. 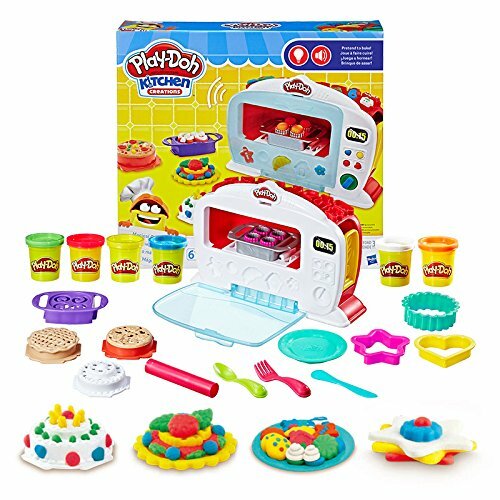 We love this kit with the oven because it can be used with other toys, and there are lots of foods to pretend to make. This stage of play is a great time to also use things that are lying around your house. Sponges, towels, boxes, toilet paper rolls, or big spoons. Let imaginations run wild! In this stage of play dolls come to life and a story line starts to come together. The animals may drink from a well and then go to bed. The Little People may ride on the bus to school and swing on the swings. The options are endless. Although the sets below can be used much earlier in development, this is when these sets really start to get the most bang for their buck. Barn. A good barn has lots of opportunities for repetition with all the animals. 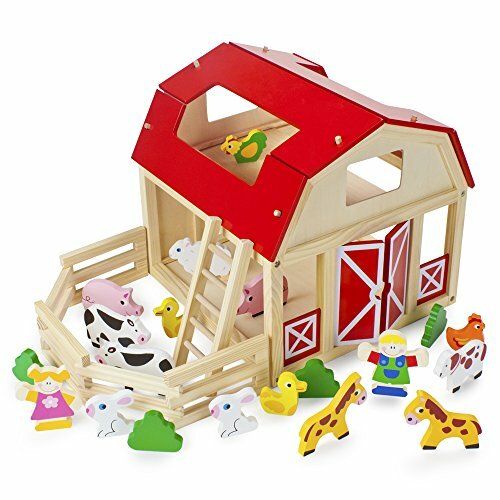 We love this set because the ladder is a good start for bringing animals to life. 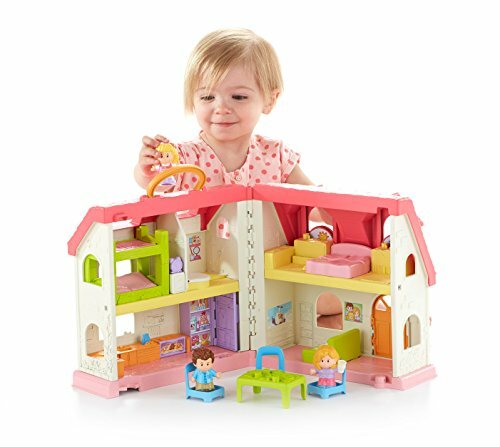 There are multiple rooms to move to to give the play a story, and it is simple enough to add doll house furniture to and use it in other ways. House. A good playhouse comes with beds, a table and chairs, and has some rooms to move around in. To keep play engaging, you would want a few more little people to add to this set. And keep the sounds off until your child has a chance to really explore the house. Add a school bus and some blocks to this structure to give some more complexity and imagination to the play! Kids often play within symbolic play for a long time during development. The jump from early simple pretending to stringing together multiple pretend actions takes a lot of practice. Play along side your child, imitating their actions and occasionally modeling pretend actions as a suggestion. Play is supposed to be fun! Make suggestions and then join back in and keep the pressure low! Come back for our last installment on Cyber Monday for suggestions for Thematic, Cooperative and Fantasy play!